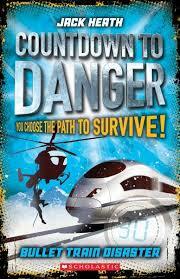 Bold, bright and busting with high-action adventure, this series is brilliant for early readers. Controlled use of vocabulary, illustrations and diagrams all contribute to wicked reads with Books 1 – 6 released this year and more to follow in 2018. 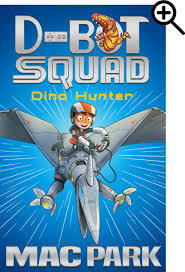 Kids will love following Hunter Marks on his dino hunting missions after he wins a computer game and becomes a member of D-Bot Squad. High-energy fun. This whacky series is decidedly visual with full colour illustrations dominating each page. Text is minimal but enhanced with varying font sizes for emphasis and wow factor. 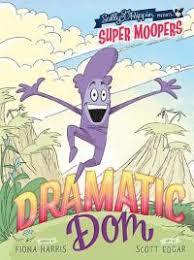 Each book examines a particular Mooper character of Moopertown, the first being Dramatic Dom. The stories encourage kids to get to know each individual better and appreciate their strengths and weaknesses. The notion that everyone is special in his or her own special way is the theme that meanders throughout this collection. 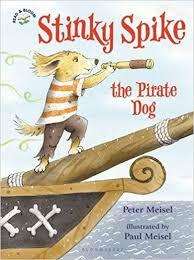 This jolly attractive little hardcover book is part of the Read & Bloom Books series, which invite youngsters on wondrous adventures with lovable wily characters, like Stinky Spike, using mindfully sparse narrative and beguiling illustrations. Colourful and merry, these are the type of stories that really do plant the love of reading! Who could resist a golden puffball of fluff with a tail? This heart-warming series is about puppies that train to become Guide Dogs. 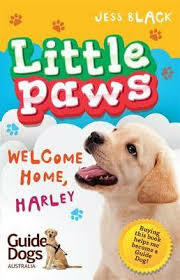 Each story is about a puppy, like Harley in the first book, and the families that train them. Lightly illustrated with Evan’s charming drawings and full of puppy pranks and incidents, this series is sure to sate your cuteness quota. Buying these books also helps puppies like Harley become fully fledged Guide Dogs. Win win! I love this quirky cooking orientated series about 10-year-old Sage, daughter of celebrity chef parents with an insatiable passion for…wait for it…food! Together they travel the globe encountering more than their fair share of not so nice-tasting situations and characters. Murphy cleverly combines every day normal with generous dollops of extraordinary. 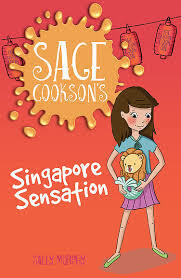 The latest titles include a sojourn to Singapore and a Literary Launch for this delectable character. Delicious fun for girls and culinary creators alike. And the best bit? A recipe in each book. Winner winner, chicken dinner! Squishy is the instantly likeable, utterly loveable heroine of this spirited series about dysfunctional blended families and all the glorious ‘normal’ zany events that occur within their orbits. 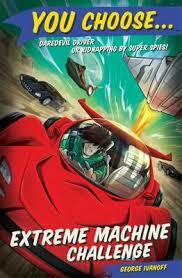 Fast paced, age-clinching narrative is interspersed with illustrations that induce drama and humour. The first book, Bonus Sisters, introduces us to Squishy’s family members and her unquenchable need to question – everything! Creative, curious, charmingly optimistic and just a touch naive, Squishy is just the type of hero little girls will love to emulate. I’m not sure what the scientific explanation is for the fascination kids of this age possess for all things dinosaurs but my little miss did, too. Palaeophiliacs (lovers of dinosaurs and pre-historic thingies) will revel in this series, a few years old now but young in comparison to a Diplodocus, when you think about it. Stomping-mad fun made all the more believable by Flowers’ hilarious illustrations. 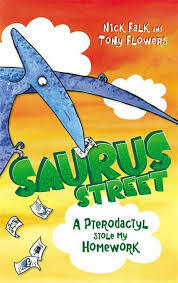 Pletosaurauses in the bathtub, Diplodocuses in the tepees – Jack and Toby have all these and heaps more dino dilemmas to cope with on Saurus Street. It’s like the age of the dinosaurs never ended. 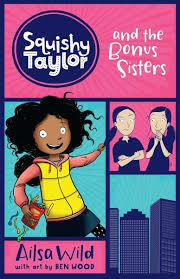 Definitely one for the girls, this series is Tom Gates meets Dork Diaries for young girls. 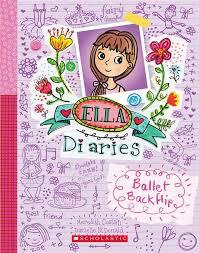 Interwoven with themes of friendship, teamwork, ponies, dancing, fashion, bullies and a whole year of diaries’ worth more, these stories will appeal to girls and their BFFs. Ella is utterly addictive thanks McDonald’s fantastic illustrations, just the sort of wiggles and pics and notations young girls are wont to scribble alongside their deepest most inner thoughts. Fun, airy and tots on the money. Highly recommended. 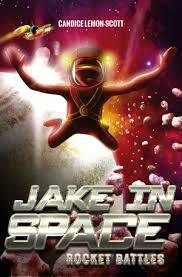 Stunning spacey foil covers give way to equally scintillating storylines centring on space probing, Jake and his whacky team of mates and robots. This series features galaxies of intergalactic fun sporting space-aged adventures mid-primary school kids can really get carried away with – providing they have their space suits on. There are six in the series, which gives young readers plenty of time and incentive to explore the entire universe! Did I mention the covers are truly out of this world! I LOVE an exciting pick-a-path-you-choose-the-path story! Having written one myself, I know how tricky it can be producing a convincing multi-ending story. It can also be colossal fun! Heath’s series adds a new dimension to 30 possible adventure storylines – a countdown. YOU the reader only have 30 minutes to choose the right path to survive. These stories are humming with danger, ethical decisions, survival dilemmas and plenty of problem solving, ideal for the inquisitive, questing mind. Written in second person, as most choose your own adventure stories are, this series plants you smack bang in the middle of the action and you only have yourself to blame if things go horribly wrong. What’s not to love! Highly recommended for grip-the-edge-of-your-seat reading. This expansive series is another choose your own adventure styled collection, which I just can’t get enough of. Ivanoff has created an amazing array of stories, each pulsing with high levels of interactivity. Again, YOU the reader must decide which options to take when faced with a dizzying selection of alternatives. Despite the choice, each chapter is concise enough to follow and complete within a relatively short timeframe, or even, to read aloud without confusion. Coupled with Hart’s explosive illustrations, it’s all very brilliant and, at times, just a little on the dark scary side. Pack some in your Christmas stockings this season – there’s a new release nearly every month!